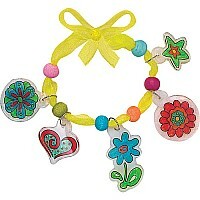 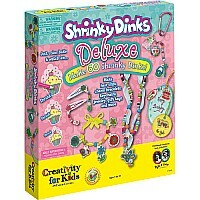 A complete Shrinky Dinks fun factory with oodles of supplies. 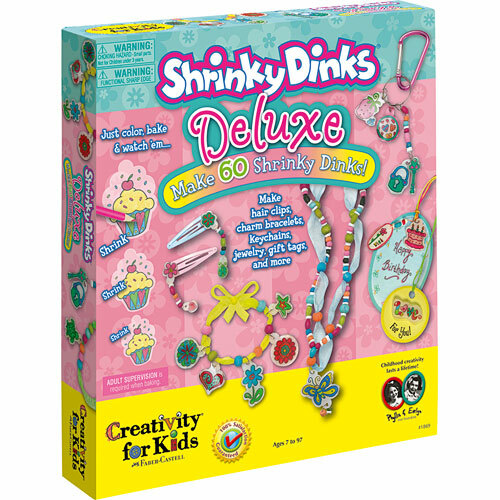 Includes 10 sheets of pre-printed genuine Shrinky Dinks shrink film, charm bracelets, beads, greeting cards, gift tags, jewelry cord, hair clips and key chains. 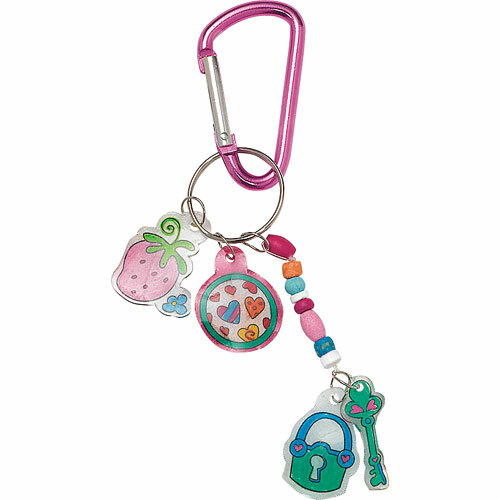 Plus 8 color pencils, pencil sharpener and hole punch. 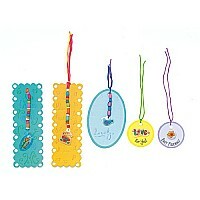 Measures approximately: 2.00 x 10.50 x 12.10 inches..